Matched betting is a brilliant way to make money online. Many people across the country use this legitimate method to profit from the bookmakers on a regular basis. However, as with anything, there are a number of common matched betting mistakes that people can easily avoid. In this post we’ll go through the most common, easily made mistakes and how you can avoid them, allowing you to make more profit online. Here at The Sure Bettor, we are matched betting experts. We help hundreds of people make money online using matched betting so we are also experts at identifying common matched betting mistakes. Therefore, to help increase the awareness of these mistakes and ultimately allow you to increase the profitability of your matched betting we’ve created a list of the most common mistakes. One of the most common matched betting mistakes that we see is people not checking the terms and conditions carefully. This is an important process that needs to be done for each offer we complete. We make our money in matched betting from the free bets and promotions which the bookies offer us. However, these offers usually have lots of information hidden in the small print. It’s therefore vital to read and check these terms and conditions very carefully. As you probably know the bookies don’t just give out free bets to anyone. We first need to qualify to receive them. To do this we usually need to place a bet on a certain game or event. On the whole, we can’t make money from matched betting without a free bet so it’s important we meet the qualifying criteria for each promotion. Most, if not all, the free bets we take advantage of have an expiry date on them. After this, we cannot use them and they will become void. Therefore, we won’t be able to make a profit from that offer and we will have made a small loss qualifying for the free bet. This is a common matched betting mistake that can be avoided. Check the terms and conditions and use the free bet before it expires. The free bet may have to be used on the same game as the qualifying bet and other times you will have a number of weeks to use it. It depends on the offer and the bookie in question. We detail this information for our members on our offer pages. Another point to check in the terms and conditions is the event in which we must place our qualifying and/or free bets. There is usually a reason the bookies give out promotions for certain events. Whether that’s to drum up some more business or just increase revenue on popular events. This usually applies more to our qualifying bet rather than our free bet. However, this is not always the case. Here’s an example to help explain. Let’s say Coral give you a £20 free bet if you stake £10 on the win/draw/win market for the Chelsea vs Leicester game. So, we must place our qualifying bet on the win/draw/win market for that game. If we don’t, we won’t receive our free bet. However, we can use our free bet as we wish, on any market we select. This is when it’s important to select a market which will allow us to maximise our profit. Some offers we take advantage of using matched betting have a required opt in process. You may need to click a ‘Join Now’ button or send the bookie support team an email. Either way, if you don’t do this you won’t receive your free bet even if you placed the correct qualifying bet. Some bookie promotions we take advantage of will stipulate what the minimum and maximum odds are. We need to make sure we select odds that are greater than the minimum odds requirement or that are less than the maximum odds. Once again, we add all this information to our offer pages to make the whole matched betting process and making money online easier. This is one of the areas I made a number of mistakes when I first started matched betting. Picking a market with high liquidity is essential to matched betting success. If you’re not sure what liquidity is you can read this article here. In basic terms, the more liquidity there is in a market, the easier it makes placing our bets. Lower liquidity makes it trickier to place our bets and can sometimes leave us with unmatched or partially matched bets. Calculating the correct lay stake then becomes a little more difficult and your overall profit amount will decrease. It’s best to stick to markets with high liquidity. Coupled with The Sure Bettor exclusive matched betting calculator this makes placing your bets a doddle. Not so much one of the common matched betting mistakes, just something to be wary of when using matched betting to make money online. Betting odds are constantly changing with money entering and leaving the market all the time. For us matched bettors we want stable odds to place our bets. It makes the process of calculating the required stakes much easier. Constantly changing odds means we need to keep moving between tabs in our browser. You’ll have the two betting sites you’re using and the calculator page open. To avoid this and potentially not matching your two bets, it’s best to stick to markets where the odds are more stable. Most Premier League football games have a stable market in the run up to kick off. Horse racing events can be a little more changeable so unless you’re an experienced matched bettor, don’t place your first few bets on these events. One of the less common matched betting mistakes, but I have seen it done so I’ll add it on the list. In Betfair, the worlds largest betting exchange, it can sometimes be a little tricky to find your current bets. Whilst this is not the problem in itself it leads to people placing more than one lay bet as they can’t find their existing bets. To check existing lay bets, make sure you’re in the betting exchange section and head to the ‘My Bets’ tab, located next to the Betfair logo. If you do make this mistake and place an extra lay bet, make sure you place another back bet to cancel it out. Initially, matched betting can be a challenging concept. It requires patience and persistence. However, going at it alone from the start may possibly the biggest matched betting mistake. There are a number of free sites that are great resources for matched bettors. However, these are always limited in what they teach you and cannot afford a customer support team that dedicate themselves to helping you. There are other sites out there like The Sure Bettor, which charge a small monthly fee to become a premium member. These assisted matched betting sites walk you through the whole process from start to finish and usually have hundreds of tutorials available for premium members. They also have all the latest tools and a dedicated team to help you with any problems you have. Whilst more experienced matched bettors may want to go at it alone, we recommend beginners start with assisted matched betting as mistakes can be costly. What’s more, you’ll easily cover the cost of three months membership in your first few offers. Whilst you may not see gambling as a mistake, it’s a not part of matched betting and it’s one of the things we try to instil in members to avoid. The whole point of this method is to make money online, using a risk free proven method. This is not gambling. Once you start gambling, the bookies start winning. Overall, matched betting is a brilliant way to make money online. However, this is a method that requires some time and patience. It’s best to take your time and start off slowly, carefully checking each bet you place and making sure you stake the correct amount. This way all these common matched betting mistakes can easily be avoided. 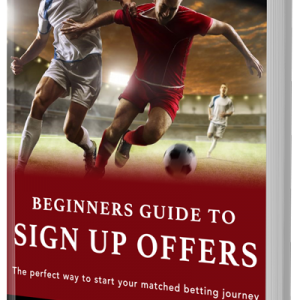 If you’re new to matched betting, we advise you sign up to a site that will help you with the process. As we mentioned above, match betting mistakes can be costly but easily avoided. That’s all for today. I hope you enjoyed our post on the most common matched betting mistakes. Please leave any thoughts in the comments below.